Do you actually know how to use the crisper drawer in the refrigerator, or do you find yourself cramming produce in there in a mad dash to unload the groceries? The crisper drawer may have remained a mystery for many years, we now know it’s a fruit and vegetable lifesaver. Getting the most out of your refrigerator’s crisper drawer can significantly extend the life of your fruits and vegetables. That not only saves you money on groceries, but it also makes sure that your food tastes super fresh, too. It’s time to stop storing your food wrong and learn the right way to use those crisper drawers. Learn more about how you’ve been organizing your fridge all wrong. The crisper drawer extends the life of your fruits and vegetables by controlling the airflow around them via the vents. Most crisper drawers have adjustable humidity vents, allowing you to close off the airflow (creating more humidity) or open it up (creating a low-humidity environment). If your refrigerator doesn’t have any controls, all of your bins will be high-humidity crispers, but most modern refrigerators let you choose. 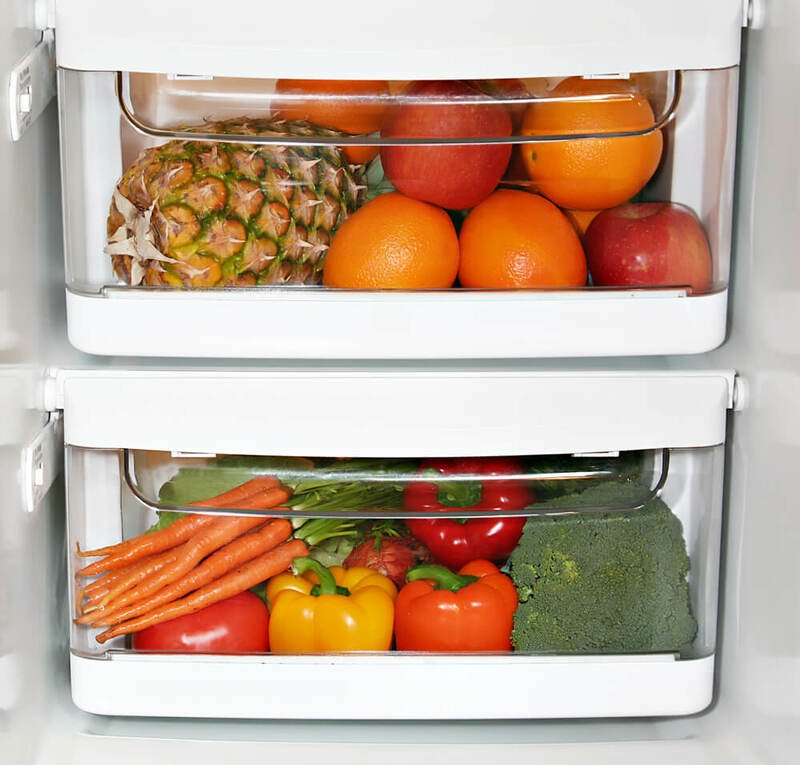 The best way to manage your crisper environment is by creating one high- and one low-humidity crisper drawer. The primary reason your food is going bad? Something called ethylene gas. Certain fruits (like bananas, kiwis, and pears) release a hormone known as ethylene gas as they ripen. This gas is great if you want to quickly ripen an avocado, but it’s not so ideal if you want to keep your lettuces fresh. Luckily, your refrigerator’s crisper drawer can help with that! When you shut down the airflow access and create a low-humidity crisper drawer, you also trap all that ethylene gas inside. That means it can’t escape, so it won’t be able to prematurely soften or discolor your other produce. As a general rule of thumb, use the low-humidity setting for anything that rots easily. That means apples, pears, avocados, melons, or stone fruits. The high-humidity drawer is great for anything that wilts – think thin-skinned vegetables like asparagus or leafy vegetables like greens and fresh herbs. The high-humidity drawer is also ideal for ethylene gas sensitive items (like strawberries). Since most of the ethylene producers will be in the other drawer, your items will be super safe here. These 18 subtle organizing mistakes will make your kitchen look sloppy. The crisper drawer is designed to work best when it’s two-thirds full, so don’t be afraid to load it up. Talk about the perfect motivator to stock up on healthy fruits and vegetables. But, everything in moderation of course. Be careful not to pack the drawers in too tightly. Your food won’t be able to breathe if in close quarters, and the weight of heavy items could damage more delicate items, too. Next, learn about the foods you’re ruining by putting in the refrigerator.